The Fairness Doctrine has its origins in In the Radio Act of 1927 when the United States Congress authorized the Federal Radio Commission (the predecessor of the Federal Communications Commission) “should only issue broadcast licenses when doing so serves the public interest" (Matthews). The Federal Communications Commission (FCC) in 1949 released a report titled “In the Matter of Editorializing by Broadcast Licensees,” where they stipulated that broadcasting licensees need to provide a forum for “discussions of matters of public importance in their broadcasts, and that they should do so in a fair manner.” The implication was that broadcasters had to provide a forum for the exchange of ideas on a particular topic “and include those people best suited to representing those views in their programming” (Matthews). Another consequence of the Fairness Doctrine was that if a personal attack was made against anyone on a radio or television broadcast, that individual had to be notified and given a chance to respond. This is unlike the Equal Time rule, still in effect, which requires broadcasters to provide equal time to “legally qualified” political candidates (Matthews). In 1969, the case Red Lion Broadcasting Co., Inc. v. Federal Communications Commission came before the Supreme Court. Essentially, broadcasters “challenge the fairness doctrine and its specific manifestations in the personal attack and political editorial rules on conventional First Amendment grounds, alleging that the rules abridge their freedom of speech and press” ("Red Lion Broadcasting"). In this case, the Supreme Court ruled unanimously that although broadcasters have First Amendment rights, the airwaves are only leased to broadcasters and thus remain the property of the United States Government. Despite this, in the aftermath of Red Lion laws were passed that weakened the Fairness Doctrine. Finally, the FCC repealed the Fairness Doctrine in 1987 and broadcasters no longer had to provide an equal forum for competing viewpoints. If someone wanted to set up radio or TV station that promoted only one viewpoint and restricted access to their airwaves by people of opposing viewpoints, it was now permissible to do so. This is where my short-lived career in political talk radio began. 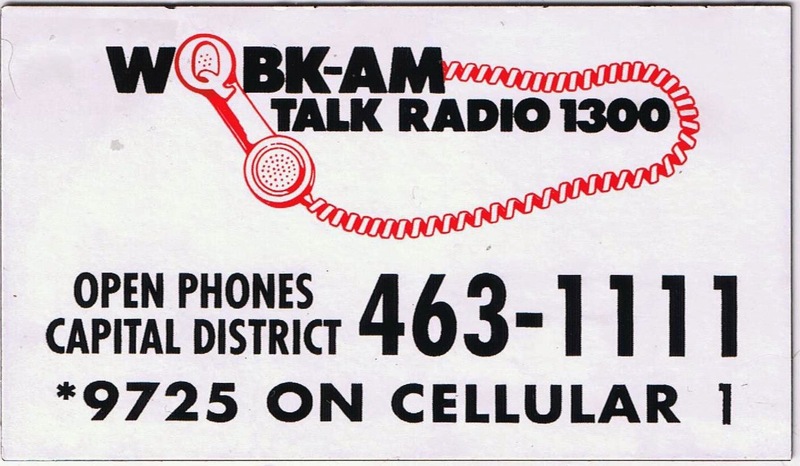 In late December 1988, I was hired as a board operator at WQBK 1300 AM. I just returned from Rochester where my next door neighbor was serial killer Arthur Shawcross (see my post Arthur John Shawcross: The Monster on Alexander Street). My initial pay was $3.35 an hour, which was only minimum wage. It was a pitiful wage and adjusting for inflation is only $6.60 in 2013, below the current minimum wage of $7.25. I literally could have gotten paid more working at McDonalds. This was my first introduction to the parsimony and occasional outright hostility of radio broadcasting management towards their employees. Radio “talent” accepted the low wages in turn for the promise of career-building notoriety, and the management could easily fill any vacancy from a long line of over-qualified college graduates. 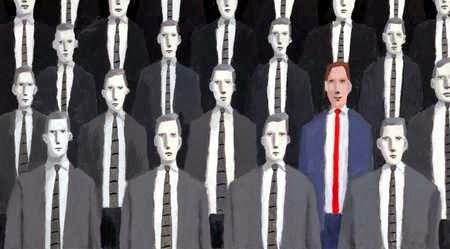 Those who ended up behind the microphone were seldom the most qualified, best educated, and intelligent candidates because those people can get better paying jobs and have egos secure enough they don’t need the dubious attention of a fickle audience. At least that was the state of affairs in radio broadcasting in Northeast in the 1980s and 1990s. I can’t address conditions today, though I would not be surprised if things have not much changed. Although the Fairness Doctrine was abandoned in 1987, stations hadn’t changed formats all that much by 1988. This is not surprising since most talk radio stations were likely locked into contracts with various shows or on-air talent. A sign of the times, however, was heralded on August 1, 1988, when Rush Limbaugh began his first nationwide show. WQBK was the first station in our region to carry Limbaugh, but at the time his was a lone conservative voice on a station whose programming was filled with sports and advice shows, liberal talk shows, and even old-time radio mysteries. My shift began at 7 PM and sometimes would stretch through 8 AM, depending on whether the overnight guy dragged himself in. WQBK actually had a news staff of five at the time, including a sports guy. By 1995, the station’s news programming had been reduced to a single person shift rip and read operation and basically hasn’t changed since. In the fall of 1988, WQBK ran Rush Limbaugh’s show in the afternoon drive. After the 6-7 PM news block, there was an excellent local sports call-in show helmed by John Graney. Then came Bruce Williams’ and Neil Myers’ national call-in advice shows, followed at 11PM by the CBS Radio Mystery Theater, an hour-long classic radio mystery drama hosted by E.G. Marshall. Midnight to 2 AM featured a West Coast arch-conservative whose main talking point at the time was justifying the internment of Japanese–Americans during World War II. Then about 2 AM we switched to CBS News Nightwatch with Charlie Rose doing pretty much what he does now, some of the most informative and intelligent news interviews ever to grace the airwaves. Beginning at 6 AM, the morning liberal talk show host Jim Horne turned up and I would join him behind the microphone for some casual back-and-forth. It was a remarkably diverse schedule. Both conservative and liberal talk shows had a platform, as well as hard news, sports, advice, and even mystery! 1988 to 1989 was the calm before the storm. As stations began to realize the extent of their freedom following the repeal of the Fairness Doctrine, they began to shed the general advice chat shows and smart news programming in exchange for monolithic blocks of programming, such as all conservative talk or all sports, two genres WQBK bounced back and forth on in the 1990s. With the increasing dependence on expensive national programming, budget priorities changed. News staff was reduced at the station from a crew of five to single-person shifts doing rip and read, which means taking news from print, television, or wire services, and editing it for your station’s use on air — a common practice throughout the industry now. WQBK's experience is exemplative of the change many stations went through. As 1989 wore on, I ingratiated myself more into the daily operations of the station, mainly because I was the only one willing to work at $3.35 an hour and do double shifts. When the morning guy got sick one day, management put me behind the mike and things quickly took off. I was young and ambitious, and had an opinionated loud mouth, so I was perfect for the job. I antagonized our older listeners — conservatives, and liberals alike. The phone lines lit up like a Christmas tree with people ready to tell me off. Realizing the advantage of having a second person to banter with when the phone lines were down, the morning guy put me on air with him. Despite being both liberals, there was a generational gap that created a great deal of conflict. The results were comic in retrospect; sometimes he would kick me out of the studio, other times I would say something outrageously vulgar just to see how quick he was with the six-second kill switch. A new board operator was hired to pick up the evening shift. Scott Lonsberry was conservative, but we got along quite well. We were two young men trying to make our way in radio so there was a natural camaraderie. Despite that, Scott and I often argued political points at the station, so one day over a beer, program director John Pendergast and news reporter Matt Fluery suggested Scott and I produce our own morning show segment in a point-counterpoint format. We leapt at the opportunity, but there was a catch — while they would air the segment every day during the morning drive, it could only run about two and a half minutes long. Two and a half minutes was scarcely long enough to introduce ourselves, so there was little we could discuss in that time that would be enlightening. Since the loudest voices get the most attention, regardless whether they actually have anything to say, we were encouraged to “really go at it.” Scott and I rose to challenge and produced The Gauntlet, as when someone would challenge someone to a duel by hitting them with their gauntlet. I don’t know if anyone actually did that historically, but we saw it in the movies and it struck us as the perfect title for our segments. Drug legalization, pollution, immigration, social welfare, homosexuality, flag burning, War in the Middle East are all raised, but due to the limitations of time they are barely given a mention before moving on to the next talking point. I have to say I’m a little embarrassed by some of my exclamations, as well as my vocal performance, so I hope my good readers will allow that time and tide have produced a bit more saner and well-spoken individual than the callow young man you hear. I forget how long we did the spot, maybe six months. I quickly grew disenchanted with the whole business. I remember the day that happened, or the evening I should say. During the Tiananmen Square Massacre, June 3, 1989, I was working a double shift at the station. We had no computers, and the World Wide Web was still a few years away, so anxious for whatever news I could get, I waited until we went off network at 11 pm, when we aired the CBS Radio Mystery Theater, and began to surf through the channels of the station’s giant satellite dish. I picked up a Radio Beijing report about the massacre, which likely had been picked by another network and relayed back to America. In the report, an English-speaking Chinese announcer provided the grisly details of the massacre, confirming the horrible mass killing (you can read more about this report in my post The Lost Voice of Radio Beijing). Radio Beijing is an official state-run radio, and there was no doubt that this brave broadcaster, Yuan Neng, was very literally putting his life on the line to report the truth. It took several months for this to sink through my thick young skull, but I eventually realized what a pointless exercise in narcissistic futility is talk radio. What was The Gauntlet compared to Yuan Neng’s brave report? All Scott and I were doing was to provide a marketing platform for more ad sales — it had nothing to do with political discourse. Despite the jump in my hourly wage to an all-time high of $3.75 an hour, I took a job working in prison education, knowing I would be making a more significant contribution to society (you can read more about this experience in my post The Criminal Underclass and Inmate Higher Education). I returned to radio a few times afterwards as a second job, but with one foot planted firmly in education I could never take radio news broadcasting seriously. Despite the great influence on society and culture radio projects, its primary purpose is to serve as a platform for advertising opportunities. Public radio is a little better, but pressure is often exerted on its employees to support the station financially or on their own time, which is a conflict of interest that would not be tolerated in commercial radio. How does all this relate to the Fairness Doctrine? WQBK’s schedule in the late 1980s was a cornucopia of programming: conservative and liberal political talk, hard news, sports, and advice and chat shows. It forced both those behind the mike and those at home to sit at the same table. Scott Lonsberry and I, despite our differences, had to work with each other every day, and that gave us a respect for each other’s point-of-view we would not have had were we working in all-liberal or all-conservative radio stations. Considering the great number of outlets for one’s opinion today, everyone can find an opportunity to express their point-of-view. True, conservatives dominate talk radio, but liberals arguably have a plethora of outlets on TV and on the Internet, capturing an audience generating the same aggregate numbers of listeners and watchers as their conservative counterparts. Nevertheless, having so many options now has not made any progress on any of the issues discussed in The Gauntlet segments. If anything, the nation is more divided today. With so many voices shouting, all one can hear is noise. What the Fairness Doctrine did was to force everyone in the American family to sit down at the same table and listen to each other. It’s much harder to hate someone when you have to break bread with them — and that is the lesson I took away from working in talk radio. Fairness Doctrine in One Post.” Wonkblog, 23 Aug. 2011. 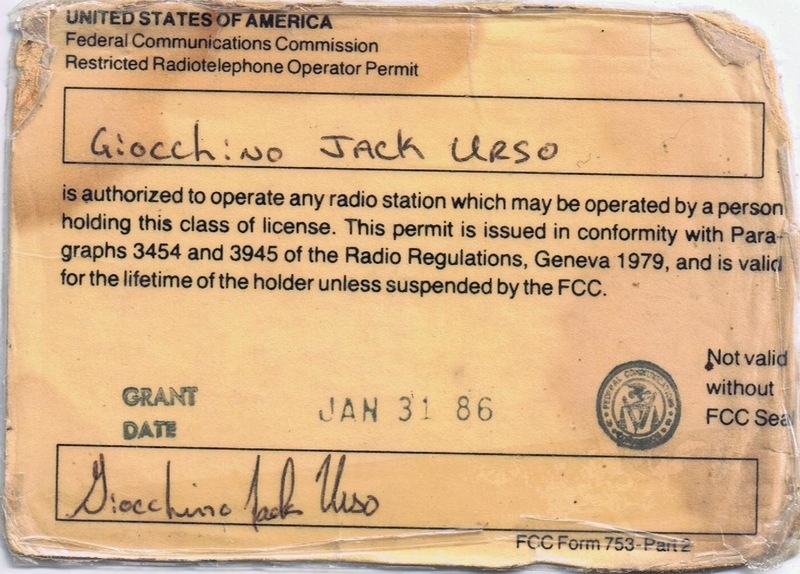 “Red Lion Broadcasting Co. v. FCC, 395 U.S. 367 (1969).” FindLaw. Views of the Planet Earth captured by the crew of STS-75, February 21 - March 6, 1996; the 19th mission of the Space Shuttle Columbia. Background music is from the album Japan: Shakuhachi – The Japanese Flute, featuring Kōhachiro Miyata on the shakuhachi. Editor's Note: This poem is formatted for Internet Explorer, it may not appear properly formatted in other browsers.